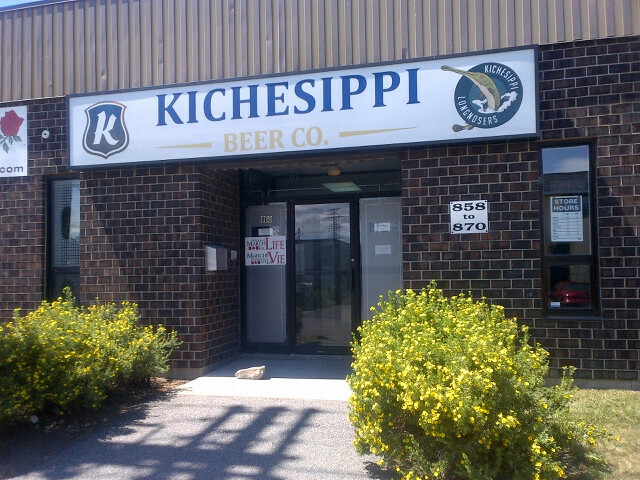 You are here: Home » Kichesippi Beer Co.: Why so local? Ottawa – While the taps of the town are dominated by nearby Beau’s All Natural Brewing, Kichesippi Beer Co. popped up in 2010 to take the claim as Ottawa’s Craft Brewery proper. And they like it that way. I recently dropped in at the brewery, located in a downtown industrial area of the city. I enter to see a nice clean presentation space, but surprisingly minimal – in fact, only one six pack of their beer is in their fridge. Perhaps a sign of growing pains. Which brings me to the next point: While Kichesippi Beer Co. appears to be growing, they are all about Ottawa, and they’re keeping it that way i.e. not interested in serving any area beyond Ottawa and surrounding communities. Yes, they want to be part of the community. And certainly, they are doing it right: Good beer and getting it on draught in good restaurants – If you’ve been to Ottawa lately, there’s a decent chance you’ve seen it on tap. But even as they grow, they stay local – six packs of bottles can be found in Ottawa area LCBOs. Is it wise to limit your market like this? I’m not sure, but it a great way to start a brand – become a part of being in Ottawa and of visiting Ottawa. It has already become that to me. Its a tactic that is at least somewhat facilitated by the fact that there isn’t much Ottawa craft beer on the market – in fact, they are the only Ottawa product in Ottawa LCBOs. However, what happens when Craft Brewery 2, 3, 4 and 5 pop up in Ottawa? I think Kichesippi might have gotten in early enough to establish themselves as a dominant brand, so it may not be a problem. 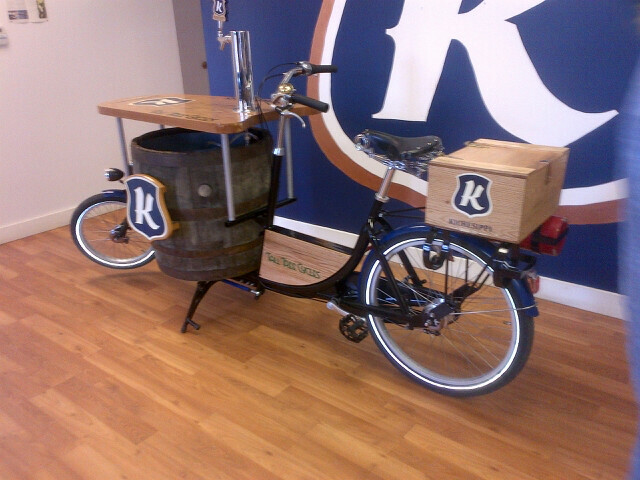 Their flagship beer is a Blonde Ale, not exactly a common find on the craft market. 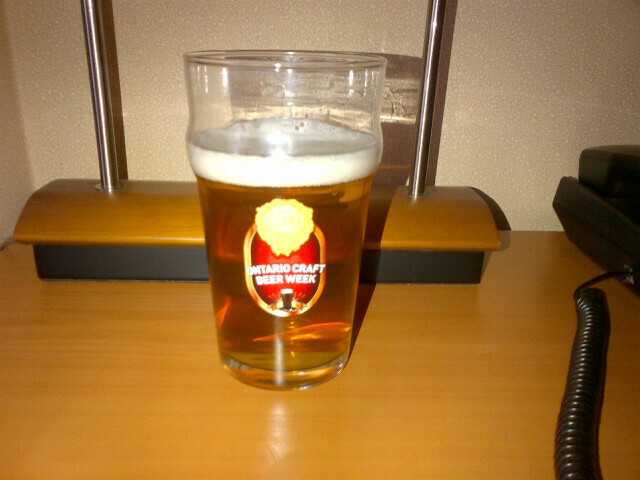 Its dry, and more flavourful than the typical blonde. They’ve also got the 1855, a darker beer, on tap around town. But to be honest, my favourite was the summer seasonal on tap at the brewery – the Heller-Hiwater…get it? Too bad for Torontonians that this is an Ottawa thing, but good for Ottawa.